We had some time at Flamingo before our tour of the bay, so we investigated the seawall around the marina for benchmarks. We knew they were plentiful in this area because we found quite a few of them when we were here two years ago; but, believe it or not, I was feeling burned out on benchmarks at the time, so we only documented a few of them. Today we wandered around and recovered most of the remaining marks. 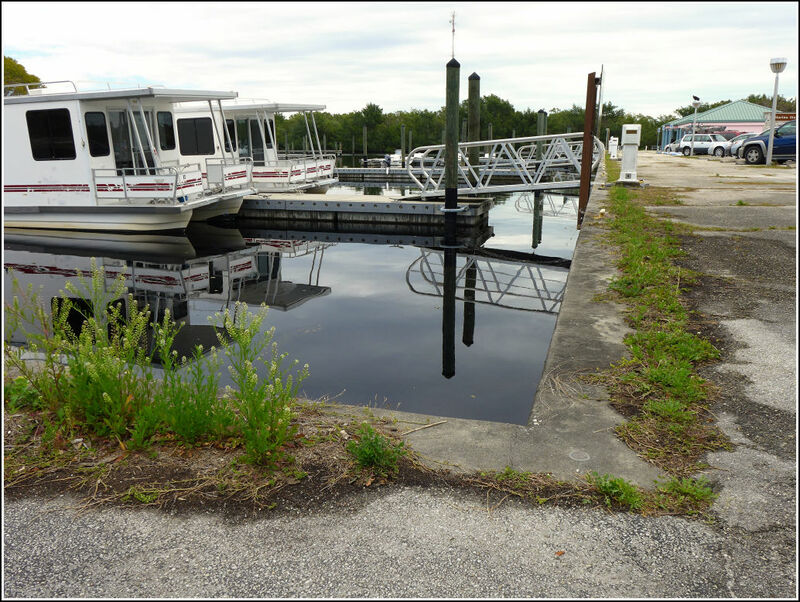 This one is set into the inner south corner of the seawall that forms the north border of the marina shop parking area. 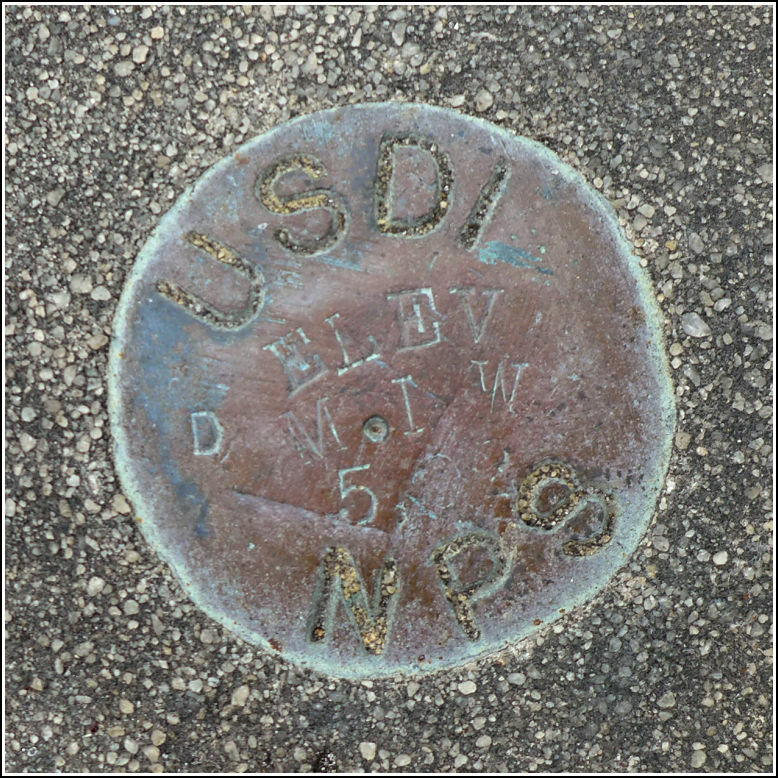 Like the other disks along the seawall, it's a small USDI/NPS disk stamped with the mean low water elevation. It is in good condition. 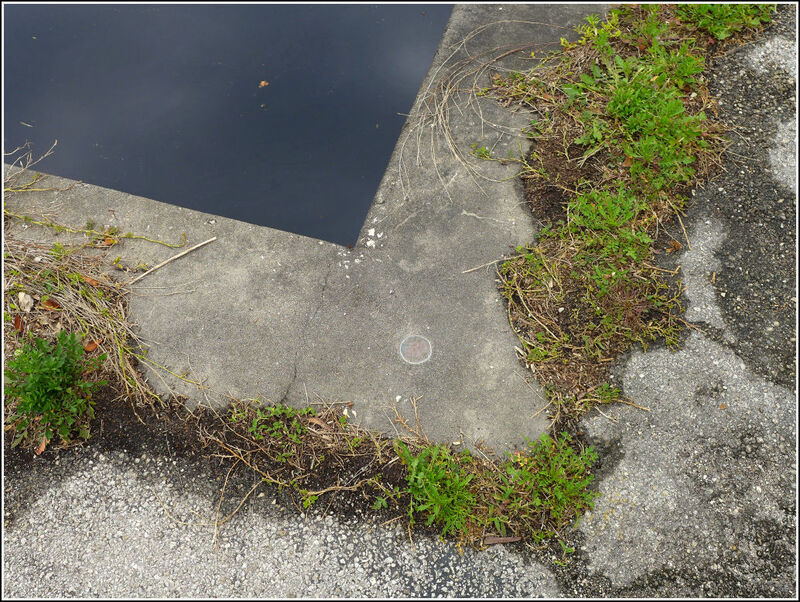 Eyelevel view of the disk on the corner of the marina seawall. Looking E toward the marina store.